Providing you the best range of emission bio plant protector and disaster bio plant protector with effective & timely delivery. Emission Bio Plant protector which provides highly effective on early stage insects as well as pests. We provide Disaster Bio Plant Protector to our clients. Following is the specification of Bio Plant Protector. 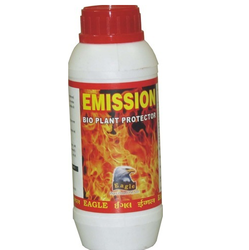 We are engaged in offering Emission Bio Plant Protector which is available with us in bulk and in packets. They are comprehensively built of materials like Citrus Paradisi peel extract capsicum cleocin, Ginger Extract and Garlic extract. Following is the specification of Emission. Looking for Bio Plant Protector ?